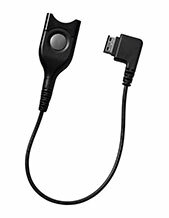 Sennheiser EH 10B with Sleeve is an accessory used for specific headsets in order to have a better fitting and suited earhook. This genuine accessory is bendable and so can be positioned based on what is the most comfortable for the user. 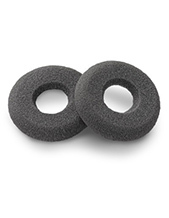 It is also highly compatible with several Sennheiser headsets. Talk to Headsetsonline experts to learn more. Dial our company hotline right now at Australia wide 1300 131 133! Founded in June 1, 1945 by electrical engineer Dr. Fritz Sennheiser, Sennheiser is a German enterprise that has continued to be a trendsetter in the field of audio electronics. Prof. Dr. Fritz Sennheiser is an electrical engineer who worked alongside seven other engineers in their aim to put into reality all the ideas they have when it comes to innovative inspirations and developments. And this legacy has been continued up to the present. Operating since the year 1998, Headsetsonline Pty Ltd is able to effectively deliver the audio needs of individuals, enterprises, and organisations by using a secured enterprise-encrypted website. The site uses the GeoTrust True Business UD with Extended Validation. Through the company’s secured site, customers can be rest assured that their online shopping experience in the company is protected. Headsetsonline is an Australia-owned and –operated enterprise recognised to be an expert in delivering headsets and other audio needs to government and corporate sectors. Since the company is a former division of a popular enterprise that did exactly that, it has become the successor of the company and has tailored its operations from there. This is how the company is able to provide high quality service that is second to none. 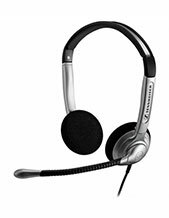 Headsetsonline uses its secured site Headsetsonline.com.au to conduct a lot of transactions and deal with customer purchases conveniently, wherever the customers are located all over the country.